Createability Wisconsin Studio provides a variety of production services. Let us help you preserve your memories or tell your story with photos, videos, logos, web design and more. Check out our services and then inquire about pricing. 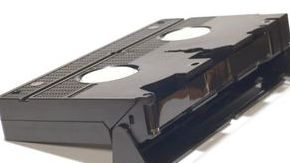 Bring us your old photos, slides, 35mm negatives, VHS home movies, mini DV tapes, 8mm/super 8 movies and we will transfer them to a CD, DVD, Flash drive or external hard drive. All scanning and transfers are done digitally for the highest quality. We will handle your order as if it was our own and give your memories the utmost care that they deserve. Video Storytelling for individuals, organizations and businesses. Recording memories allows you to capture both the story and the storyteller in a very poignant and personal way. Family stories, life experiences, and recollections of places and days gone by reveal truths about us in ways that enlighten both the teller and the listener. Video recording gives us the ability to hear a departed loved one's voice, hear their laughter, and see their mannerisms. Need your photos put into a montage for a graduation, reception, special birthday, funeral, etc.? We can create a heartwarming video that you will cherish FOREVER. Need video services for your special event, live performance or wedding? Need a PSA, video blog, movie trailer or explainer video for your social media or website? We can do that too. Contact us for pricing! Let our students create some visual effects for your next film. This sample was created in our studio using the green screen. Let us help you animate your titles and do your end credits for your short films. Save time in your editing process. Let us design a professional logo design to make your brand stand out. We can also animate your logo to be used on your website, social media pages or for short films. Createability Wisconsin provides professional film and video editing services. Depending on the package you choose; you´ll have different options (Color Correction, basic VFX) depending on your needs. We can create the video from scratch, do a correction on it, add subtitles, erase unwanted microphones, and if needed add sound tracks to the video. We are passionate about designing beautiful, functional, and affordable websites. Contact us today to learn more about our professional web design services and how we can fit your individual needs.